Explore Science, Technology, Engineering and Math with SUNY Maritime faculty, staff and students. Students are invited to sign up for any three STEM stations, designed for their age group by experts from Maritime College. All activities are free. The Diesel engine has been the predominant means of propulsion for ships since the early 1900s. Students will learn about diesel engines, their components and operations. The participants will see the explanation coming to life when they complete a diesel engine model kit that will move and act like a real life diesel engine. his station explores the core topics of naval architecture. As a participant you will learn about Ship's Displacement and Archimede’s principle through an experiment.In addition, you will investigate Ship Stability and Ship Resistance by testing some models in the flow channel. Walk in and take the helm of a tugboat in our immersive, interactive Bouchard Transportation Tug and Barge Simulation Center. Steer your tugboat through the East River, and learn to calculate how water changes the way propellors move boats through the water. Addressing the effects of climate change should be a top priority for future generations. As global temperatures rise, national disasters increase and the high electricity demand put stress of our use of natural resources. Let's look at what can be done to save our environment and our future. Come investigate types of clean and renewable energy and learn how to build a wind turbine that uses wind energy to generate electricity. Discover the magic and fun in math calculations while exploring a strange and awesome set of numbers – the Fibonacci numbers. Our journey will lead us through the math behind pineapples, flower petals, music, rabbits, and much more. In addition, you will quiz someone else on an expression you will create. Dig in up to your elbows and learn how oysters are bringing life back into the New York harbor. 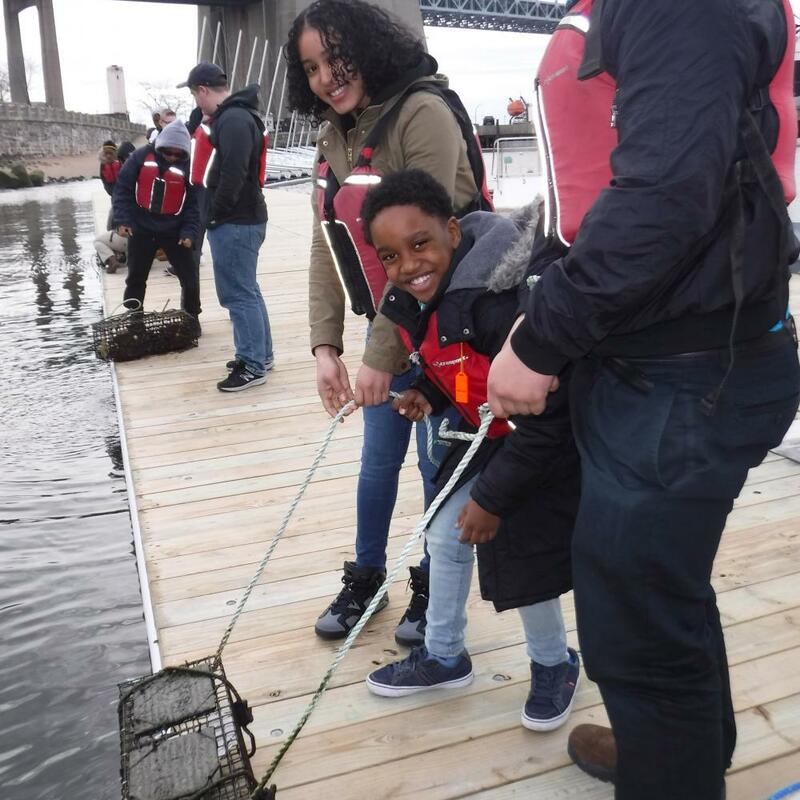 In this hands-on-session, students will explore Maritime College's oyster growth, identify East River marine life and test water quality. 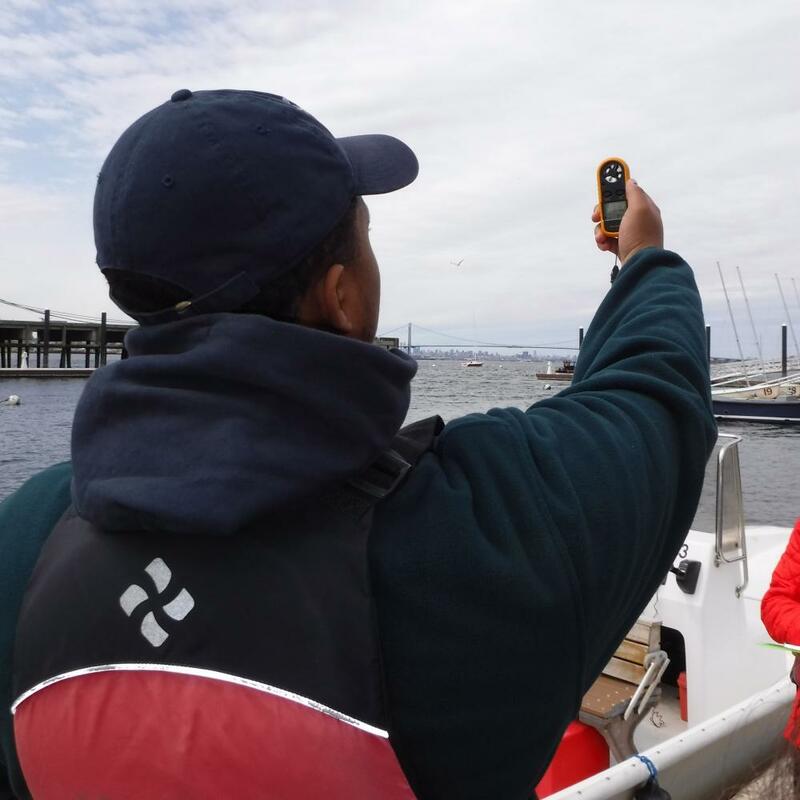 The stations are part of the on-going Billion Oyster Project's restoration efforts to bring oysters back and improve the water and habitat quality in the harbor. Were pirates real or just legend? Let's search for evidence via the treasure troves in archives, libraries and museums. We'll learn more effective ways to do research, using Boolean search terms, and create a digital museum of our own along the way. A ship's engine does more than move it through the water - it provides heat, light, refrigeration and plumbing on board. Its controls, valves and pipes come together to form a giant tangram, or puzzle. Put the puzzle together in our immersive engine room simulator to discover how ships create and provide power to all onboard. Come discover problem solving through coding. Learn how to build basic commands into a series of actions for a robot. Then, use what you've learned to guide the robot through an obstacle course. This station explores the story of Robinson Crusoe, a sailor lost at sea and stranded on an uninhabited island for 28 years. As a participant, you will: read excerpts from the text and learn about the real-life historical figures who were the models for the main character, listen to music and look at visual art inspired by the novel, and take part in a group activity in which your team is marooned on a deserted island and must figure out what items to salvage — and what to leave behind. Will you survive? Travel back in time to see how the marine environment around SUNY Maritime’s campus has changed by looking at the mud and sand preserved offshore. We will examine minerals, shells, and dead plant matter to understand how the environment has changed and make small-scale models of global environmental change to predict how the environment may change in the future. Have you ever wondered how much lead is in your water? Bring a sample from home or your school water fountain and find out! Students will be testing water samples for common contaminants. Visitors are welcome to spend extra time on campus, exploring what else SUNY Maritime has to offer. These activities will begin at 12:30. The last tours leave at 1:30. Explore SUNY Maritime College's campus and programs with a tour from the Office of Admissions. Tours leave every half hour beginning at 12:30 p.m. The tour takes about an hour. The college Training Ship Empire State VI is a vital part of the education of many Maritime students. It's where they gain the hands-on experience and training that sets the college apart. Tours leave every half hour beginning at 12:30. The tour takes approximately an hour. Eat lunch in the Mess Deck, the main campus dining hall.